Ireland’s digital economy is flourishing and with more and more brands and consumers moving online, demand for suitably qualified, competent digital marketing graduates is skyrocketing. Approximately 900,000 digital jobs across Europe are currently unfilled, meaning that digital marketing is one of the few sectors where demand for graduates still exceeds supply. 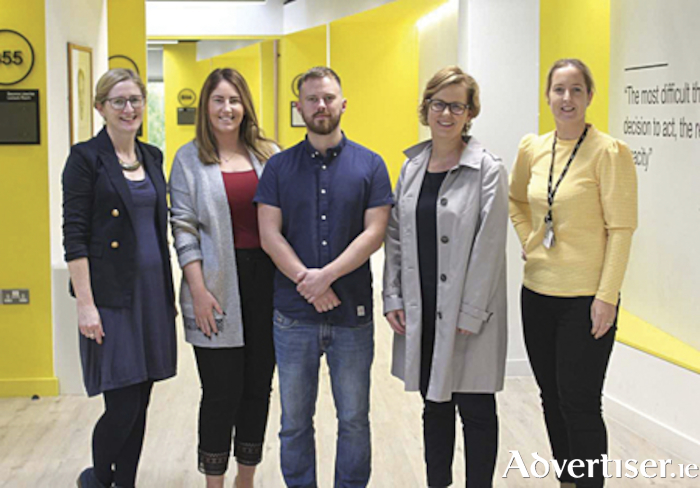 With this in mind, Athlone Institute of Technology has introduced a Bachelor of Business (Hons ) in Digital Marketing to help meet the skills gap in industry. As part of this programme, programme leaders have launched an inaugural capstone project for fourth year students. An eclectic mix of businesses across a broad range of industries have agreed to participate in the programme. From a superfoods importer to a dry ice manufacturer, and a virtual reality arcade lounge, each subsequent digital marketing capstone project will be unique to the company and student. To support this process, and feed and inform their digital marketing strategies, the final year students will undertake a variety of practical and theoretical modules, including Integrated Marketing Communications, Digital Content, Advanced Analytics, and Ethics and Digital Marketing. “This is a fantastic opportunity for participating companies, such as Henshaw Eyewear and DPD, to collaborate with a higher education institute and fill their digital marketing resource gaps using our students’ knowledge of cutting-edge digital marketing methods. A successful digital marketing strategy could help these businesses extend their market share nationally and internationally. In turn, our final year students get hands-on, practical experience with the possibility of a job offer at the end of it,” Ms. Murray added. The project is split into two phases, the first of which will see students liaise with their respective company to find what their goals and objectives are. During this phase, students will gather information about the company, researching the business, industry and competitors, carrying out what’s known as a situational analysis. They will also look at content and SEO to determine the company’s digital footprint. After Christmas, the students will start building out the company’s social media channels and begin work on the website. The capstone project will run until early April and will culminate in the presentation of a fully-fledged digital marketing strategy to the respective company. “As the only higher education institute in the Midlands, it is our raison d’etre to provide industry with consultancy, expertise, and opportunities to further develop the region. It’s projects like these that help us fulfil that obligation whilst also ensuring our students are furnished with the skills and competencies necessary to forge a successful career in the industry of their choice. “We have every confidence in the ability of our students and in the skills and knowledge they have gleaned throughout their time at the institute. Each one of our students is enthusiastic, hard-working and armed with the skills and competencies necessary to succeed in this endeavour,” Owen Ross, Head of Department of Business and Management, remarked.